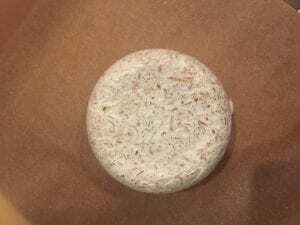 The Mycelium experiment, a grow it yourself mushroom material was a sustainable process that took a long time to make. 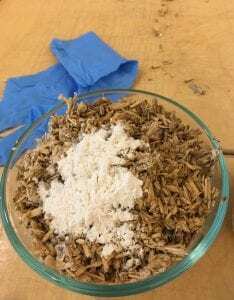 To make the Mycelium we had to follow instructions provided to us through a presentation online from EcoMotive, who had used the Mycelium to make a teddy bear shaped mold as an example. After adding ingredients to the bag, we had to find a cool dark place to keep the mixture to grow as a suitable environment. As a week passed, we noticed that the mixture started to change color in certain areas as it created small tiny white patches. The picture also hardened in certain areas, but our next step was to remove it and break it down to make a new mixture that included adding flour. 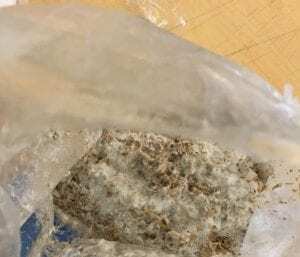 This was also kept aside in a our cylindrical hollow shaped glass bowl, covered with cling film and poked air holes to allow it to activate the material like before and watch the Mycelium grow. 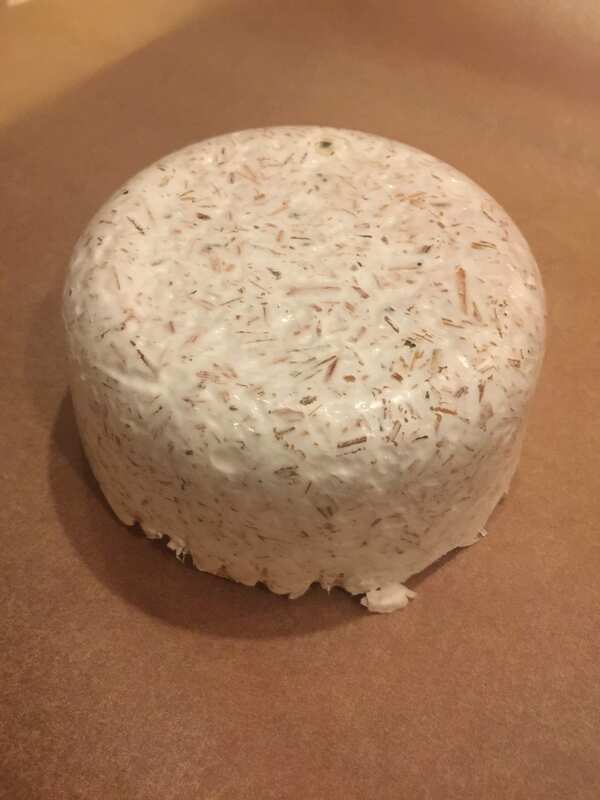 After a few more days, the final product looked ready to bake and harden as everything in the growing container looked completely white as the Mycelium grew to change color.